The Oriental forms of astrology practiced in China and India have maintained more of a tradition or continuity with their past. But in the West, modern forms of astrology are quite different from the original classical astrology practiced by Ptolemy and others. What happened to Western medicine was paralleled by what happened to Western astrology. During the enlightenment and scientific revolution, these old traditional sciences were thrown out as being outmoded and superstitious. With astrology, this process was aided by the Church, which regarded astrology as evil. Having lost so much of its old traditions, modern astrology has had to reinvent itself and start anew. Only a few elements of the old astrology remain in the new, and modern astrology has lost touch with its roots. To remedy this situation, certain groups, most notably Project Hindsight, have undertaken the monumental task of bringing the old, classical astrology back to life. Not only are talented translators like Robert Schmidt and others translating the old texts, heretofore lost or obscured, but they're also trying to make their esoteric, arcane concepts and the basic philosophy and metaphysics behind them more accessible and intelligible to modern astrologers. Classical Greek astrology is called Hellenistic Astrology. It is so-called because it evolved into its classic form during the Hellenistic era in the two centuries preceding and following the birth of Christ, mainly in centers of science and learning like Alexandria in Egypt. As an astrological system, Hellenistic Astrology is somewhat like a cross, or something midway between modern Western astrology and Indian Vedic astrology. This makes sense, because Hellenistic Astrology could be very close to the original form of astrology from which both Western and Vedic forms evolved and diverged. Zodiac System: Hellenistic Astrology, like modern Western astrology, uses the tropical zodiac. But when Hellenistic Astrology was originally codified and systematized, the sidereal and tropical zodiacs were basically in sync, and had not yet diverged significantly. House System: The main house system used in Hellenistic Astrology is whole sign houses. The entire sign in which the degree of the Ascendant falls is taken to be the First House, with the following signs taken to be the subsequent houses, in sequential order. Not only is this house system simpler, but it's basically in sync, or in harmony, with the signs and their affinities of element, polarity and modality. The Doctrine of Sect: In Hellenistic Astrology, the natal horoscope of someone born at night, with the Sun below the horizon, was read and interpreted differently than that of someone born during the day, with the Sun above the horizon. The influence of sect, or being born a night person versus being born a day person, pervades the individual's whole personality and character. Planetary Dignities and Debilities: The ancients had a much more complex and sophisticated system of planetary dignities and debilities, with a much subtler, more nuanced, and richer gradation of planetary strengths, weakness and interactions resulting therefrom. Modern astrology has retained only the domicile rulerships and planetary exaltations; Hellenistic Astrology also had triplicity rulers, terms and faces. Planetary Significators: Hellenistic Astrology had planetary significators for every aspect of the individual's life. From a wide range of candidates, the planet best fulfilling all the necessary criteria was chosen to be the significator; its strengths, weaknesses and placement were analyzed to augur how well the native would fare in that particular life area. The Hyleg is one such significator, and probably the best known. Aspects: Hellenistic Astrology used only the major or Ptolemaic aspects, whose dynamics are based on the signs and their qualities of polarity, element and modality. In modern astrology, on the other hand, a whole perplexing plethora of new aspects proliferates ad nauseam. However, there were subtleties regarding how one planet involved in an aspect beholds the other, which are mostly ignored or downplayed today. Solar Phase: Knowing whether a planet was Oriental, or ahead of the Sun, versus Occidental, or behind the Sun, was considered to be important in its overall significance and interpretation. It was especially important for interpreting Mercury and Venus. Heliacal phenomena, or whether a planet was setting into or rising out of the Sun, were also considered important. House Interpretation: Hellenistic Astrology had quite different ideas about the significance, correspondences and interpretation of the various houses of the horoscope. Whereas modern astrology relies heavily on the sequentially based essentail sign / house correspondences, they weren't used that much in Hellenistic Astrology. Instead, they had other ideas and concepts, such as house joys and directional strengths. Some of the older domains and correspondences of the houses in Hellenistic Astrology are quite similar to those significations which are still used in Vedic Astrology today. Temperaments of the Signs and Planets: The concept of temperament and the Four Basic Qualities of Hot, Cold, Wet and Dry were a central part of all classical Greek science and philosophy, including medicine and astrology. I have introduced you to the classical Greek concepts of humor and temperament as they apply to the planets and signs of the zodiac throughout this section on Medical Astrology. Time Lord Systems of Predicition: Hellenistic Astrology had various predictive systems involving chronocrators, or Time Lords, that have been lost to modern astrology, which relies heavily on progressions and outer planet transits. These Time Lord systems of predictions resemble the dashas and bhuktis of Vedic Astrology. Each of the seven classical planets plus the lunar nodes is allotted a certain period of time, in a certain sequence, according to a predetermined formula as applied to the natal horoscope. Truly, Hellenistic Astrology is the new kid on the block. Even those who are involved in its revival and translation are still in the process of testing out its various concepts and techniques, to sort out what is truly effective and valuable from that which is of questionable worth. 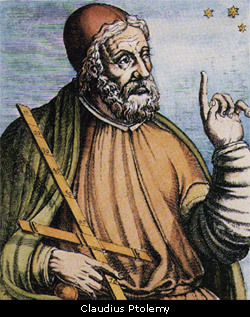 Hellenistic Astrology and its various techniques and applications have yet to be fully evaluated and assimilated by the modern astrologer. Astrology, being ruled by Uranus, is a very individualistc science, and there are almost as many varieties of astrology as there are astrologers. There's evolutionary astrology, Uranian astrology, cosmobiology, esoteric astrology, shamanic astrology and much, much more. All of them have their various strengths and weaknesses, philosophies and approaches. The modern astrologer takes from each what he feels to be the most valuable and effective. The same will probably happen with Hellenistic Astrology - astrologers will incorporate into their practice that which their experience tells them really works; others will probably be more purist and traditional in their approach to classical astrology, saying that you have to use it authentically, in its totality, or not at all. The mainstream of modern astrology is based on the teachings and philosophy of Dane Rudhyar. It is heavily psychologically based, and regards itself as being person-centered, in contrast to older forms of astrology, which it sees as being more fatalistic and event-centered. If Hellenistic Astrology is to be fully accepted by the modern astrological community, it may well have to overcome this stigma to prove its worth. It is doubtful whether Hellenistic Astrology will ever fully replace modern astrology, which, within the last two hundred years or so, has been built into an imposing edifice through the brilliant and insightful contributions of astrologer-philosophers like Dane Rudhyar and others. It has truly proven its value and worth. Robert Hand, one of today's most brilliant and progressive astrologers, was active in the revival of classical astrology, but affirms the value of modern astrology, saying that we don't just toss it out the window and blindly replace the modern methods with classical ones. Once we discover and evaluate exactly what the distinctive uses and benefits of Hellenistic Astrology are, we can start to use it where appropriate and advantageous. But a full evaluation and consensus has yet to be reached. Project Hindsight has a website: www.projecthindsight.com Through it, they sell their translations of the old source texts of Hellenistic Astrology, their sourcebook on Hellenistic Astrology, their Hellenistic Astrology software, and promote their upcoming seminars. Its main focus seems to be the horary astrology of the 17th century English astrologer William Lilly, and by extension decumbiture, which is medical horary astrology. It has a wealth of fine articles on some of the older medieval and classical forms and techniques of astrology.